Three people died in a collision Tuesday on Highway 1 in unincorporated Santa Cruz County, California Highway Patrol officials said. The collision was reported at 4:24 p.m. north of Wilder Creek and south of Dimeo Lane, near downtown Santa Cruz. Luis Martinez-Escobar, 20, of Santa Cruz, was identified as a passenger in a 2000 Buick Regal, which was broadsided by a Chevrolet Blazer. He died at the scene, according to the CHP. The Buick was traveling south on Highway 1 when the driver lost control of the car, most likely because he was speeding, and overcorrected. 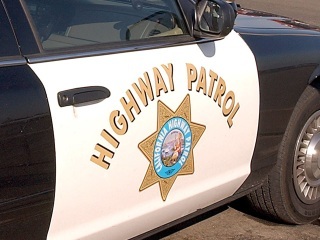 He crossed over the double yellow lines into the path of the Chevy, which was traveling north on Highway 1, CHP officials said. The 21-year-old Buick driver, who is from Santa Cruz, was taken by helicopter to Santa Clara Valley Medical Center in San Jose, where he died at about 7 p.m. His name is not being released until his family has been told of his death, according to the Santa Clara County medical examiner's office. The Chevy driver, a 56-year-old woman from Summerville, Oregon, was taken to Dominican Hospital in Santa Cruz and then flown to Natividad Medical Center in Salinas, where she died at about 9 p.m.
A spokesperson with the Monterey County coroner's office was not immediately available to provide the name of the woman. Neither drugs nor alcohol appear to have played a part in the collision, but a toxicology report will determine that for sure, according to the CHP. Both lanes of the highway were closed for several hours as CHP officers investigated the collision. The cause is still under investigation, CHP officials said.